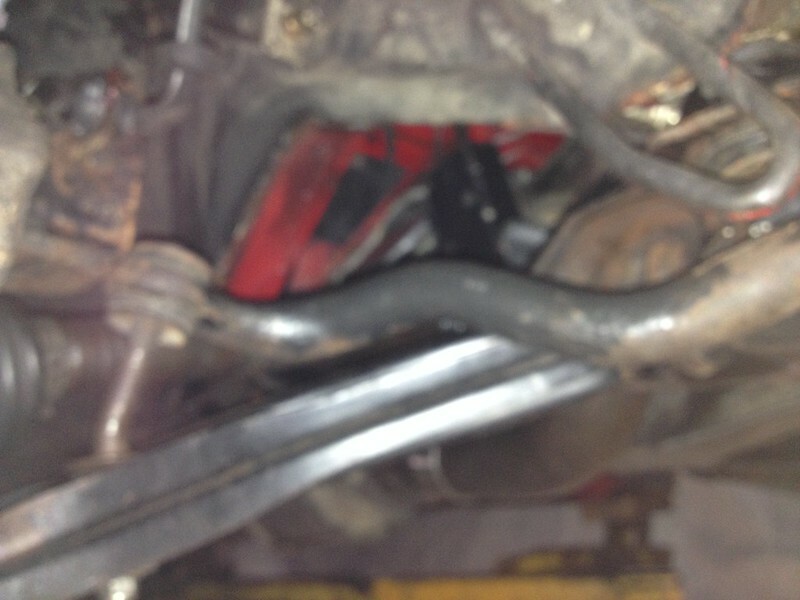 Installed the front anti roll bar. Almost forgot it had one. 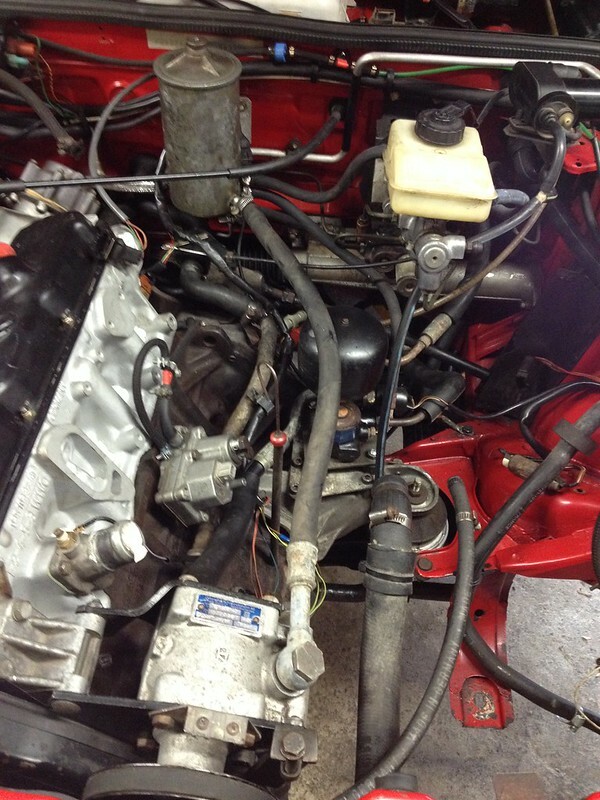 Installed the new hydraulic pump belt. Of course we had to remove the pump to get the belt over the pulleys. Not a lot of room in front. 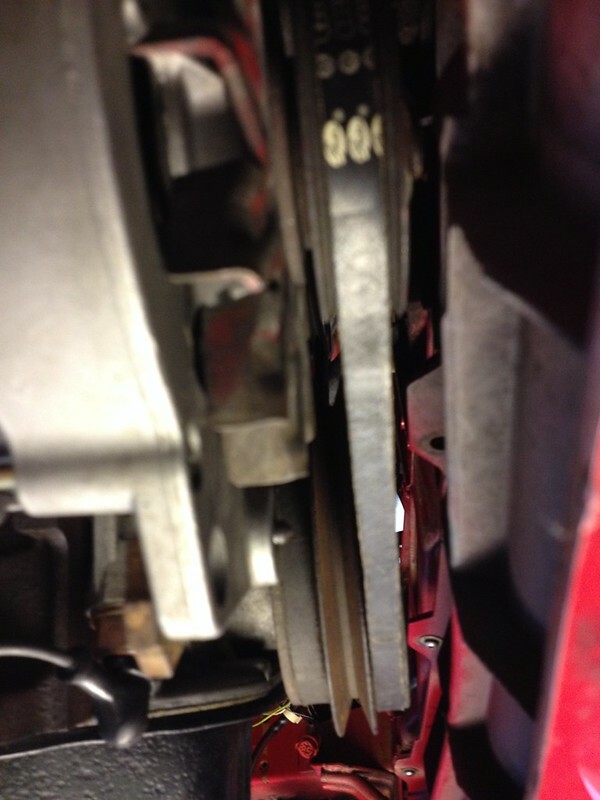 Also installed the alternator belt though we didn't think we had one. 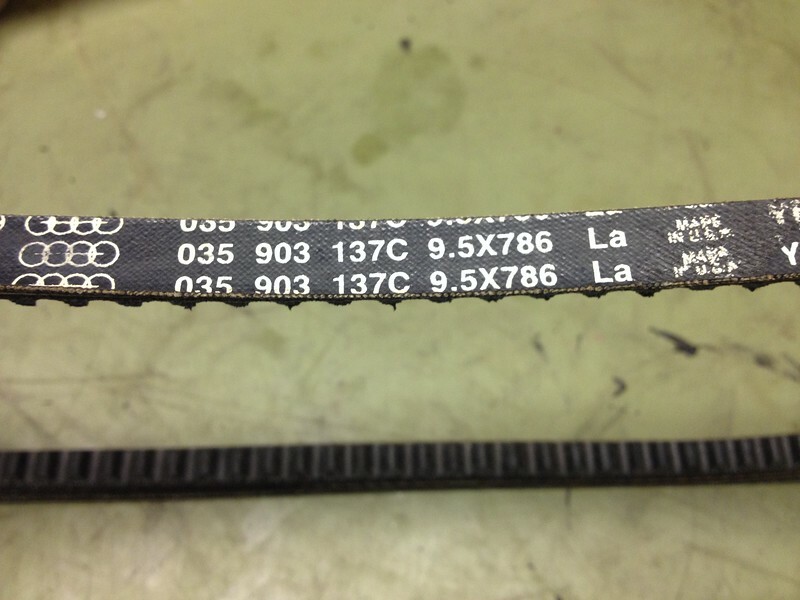 Our car (WX) is supposed to use a 9.5x850 v-belt but we only had a 9.5x786 for the WR and GV model. Turned out that was the right one for our WX. Go figure. 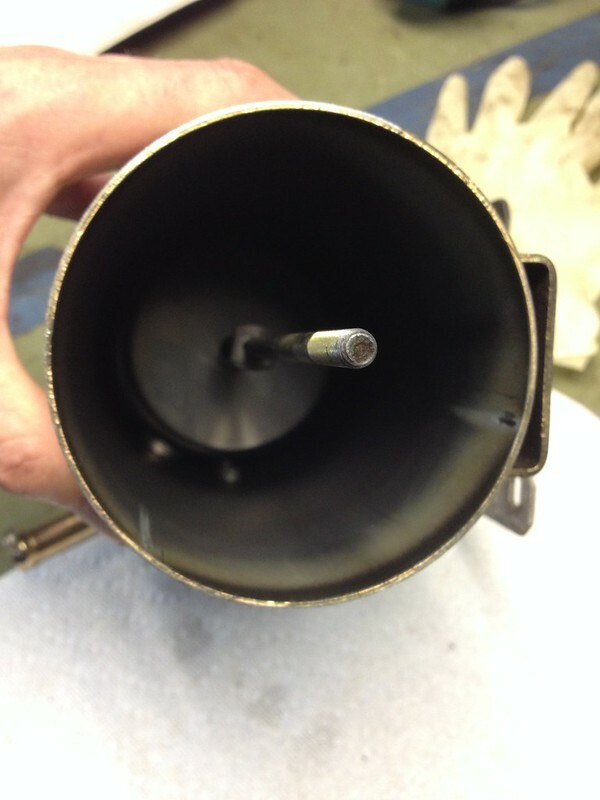 This one went on a lot easier than the pump belt though tightening the alernator pivot bolt was a challenge. Excited buy our belt success we looked in the parts box to see what else we could throw at the car. 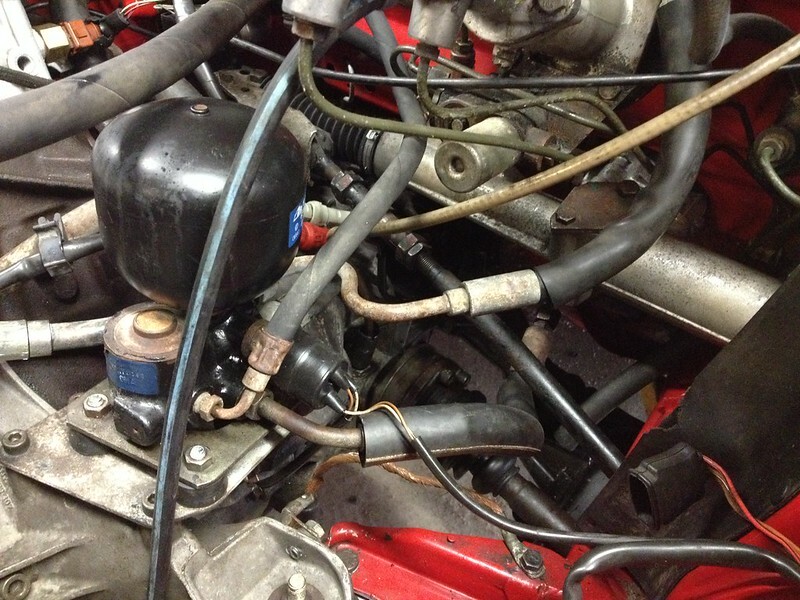 We decided to reinstall the hydraulic hoses and reservoir as it all goes on the left side of the engine bay and would be easier now rather than with the radiator in place. But first we had to locate and connect a few wires as these all reside under the hoses. The wiring connectors are beginning to find their own ways home but some are still troubling us. We are hoping those will become obvious soon enough. 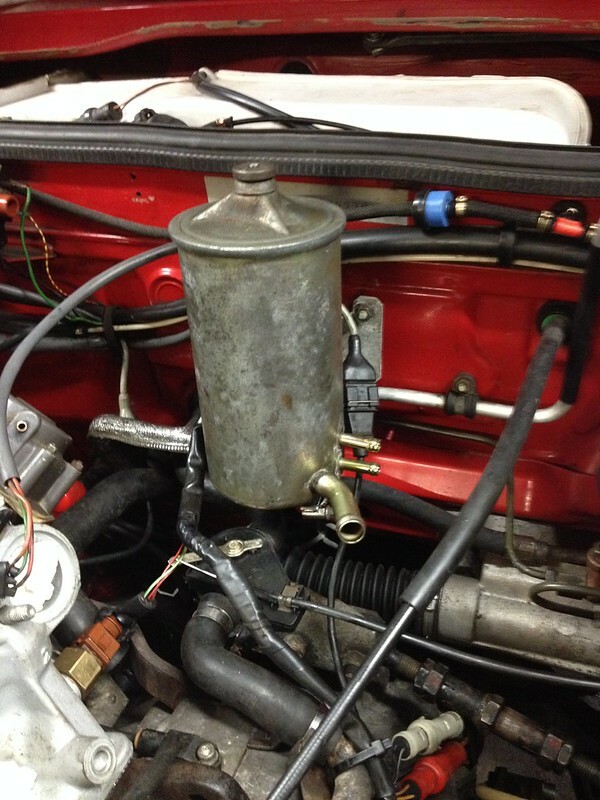 First the oil reservoir. 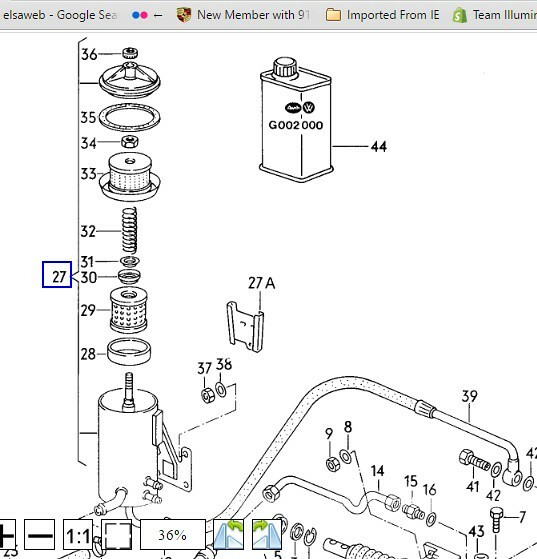 We thought we'd dismantle on the bench and see if any of the parts indicated on the parts diagrams needed replacing. However ours was empty inside. Is this right? It worked before so we reinstalled it. Then we reinstalled all the hydraulic lines. Next time we think we'll put the cooling system back. Hopefully that wont be too long from now.